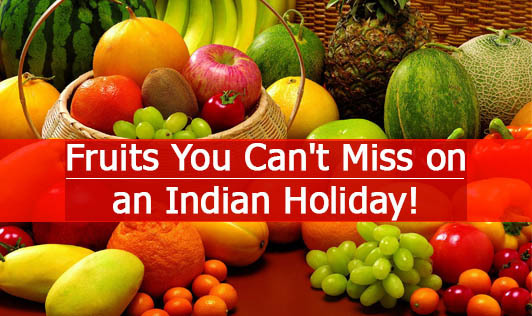 Fruits You Can't Miss on an Indian Holiday! Mahabaleshwar - Strawberry: Mahabaleshwar, an acclaimed hill station is also the Strawberry capital of India. Visitors are greeted with numerous Strawberry farms across the town. The main season is May-June for the Strawberries to ripen. Tourists can visit the farms to have a look at the farm fresh berries and pluck the tender fruit from the bushes. Nashik - Grapes: Most of India's Grape orchards are found in Nashik. The climatic conditions of Nashik are apt for cultivating grapes. The seedless variety of grapes from Nashik is popular all over India and abroad. Nagpur - The Orange City: Nagpur is synonymous with Oranges. Nagpur is by far the largest cultivator of oranges as compared to other Indian cities. There are 2 seasons for Oranges, Ambiya and Mrig, with the oranges of the Mrig season being bigger and sweeter. Jalgaon - Bananas: Jalgaon district, lying in north Maharashtra, has earned the reputation of the "Banana Capital of India"
Dahanu Bordi - Chiku Orchards: Just 145 kms from Mumbai at Bordi-Dahanu, there is a multitude of Chiku farms dotting the landscape. Dahanu has been home to a large number of Chiku farmers for a number of years. A trip to the Chiku plantations is a great way to get close to nature. Goa - Cashew Nuts: During the season, the hills and valleys of Goa are aromatic with the sweet smell of the ripening cashew apples. The dry fruit business is the second largest business (after tourism) in Goa. Kotgarh - Apples: Kotgarh is a famous place near Shimla and is very famous for its quality and abundance of apples and apricots. Kotgarh, the land of Apples is located 82 km from Shimla. Siliguri - Pineapples: Siliguri is situated in the plains at the base of the Himalayan Mountains. This city is also called the "second Kolkata of West Bengal". It is a traditional Pineapple growing zone. Allahabad - Guavas: Guavas cultivated in the orchards of Allahabad, the city of Triveni Sangam enjoys a heavy demand due to their delicious taste. Out of all the available varieties of Guava, Allahabadi Safeda and Surkha are outstanding in taste, shape, size and color. Ratnagiri - Alphonso Mangoes: Ratnagiri is synonymous with Hapus mangoes. It is said to be one of the most expensive varieties of mangoes. Don't forget to visit this place during summer. Fruits are rich in antioxidants that protect you from diseases. So, if you are planning a trip to any of these destinations, don't forget to try these!